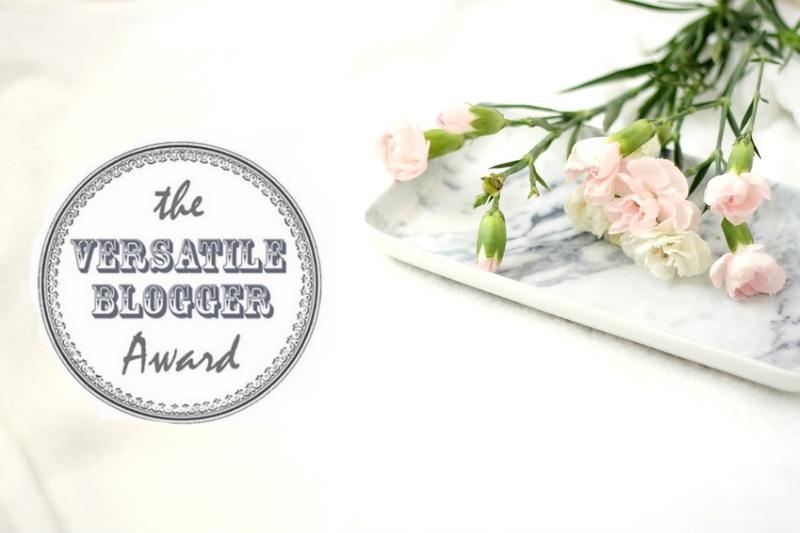 A big thankyou to ellerow for nominating me to do The Versatile Blogger Award! Definitely go and check out her blog its brilliant! These types of awards are so great because it connects bloggers and it gives readers a chance to learn a little bit more about you; I think its a great idea! 01 – I am the worlds biggest worrier – I suppose that comes with anxiety which I unfortunately suffer with. But honestly I will find anything to worry about and it’ll be on my mind all day! 02 – I have never broken a bone in my body nor spent hardly any time in hospital (touch wood) I think this is because I’ve always been so careful because I’m a worrier haha. 03 – I’m not academically the smartest but I always have a million ideas floating around in my head and I love a good creative project; hence why I love blogging! 04 – My favourite food has to be pasta or pizza – typical I know but I love nothing more than a big bowl of pasta or a huge margarita pizza. 05 – I have loved photography ever since I was little – I used to own a little blue plastic film camera that I’d carry around with me everywhere even at the age of about 6 or 7! 06 – I’ve only ever been abroad twice and both times to Spain. I’ve never really travelled and its something I’d love to do one day; seeing the world is one thing on my bucketlist. 07 – I HATE horror movies, I repeat hate. There is nothing worse, I stick to my rom coms and disney movies where everything is happy! I hope you enjoyed this post and found out a few facts about me! Thankyou again to ellerow for nominating me to do this award! I hope the nominees enjoy writing the post too!